They currently live in the Dallas-Fort Worth Area. Our couples in the recent past have loved working with them. They sometimes get overlooked until the last minute (and we don't want you to stress out). Top 3 Indian Wedding Vendors in Dallas You Didn't Know You Needed starts off with something SWEET. 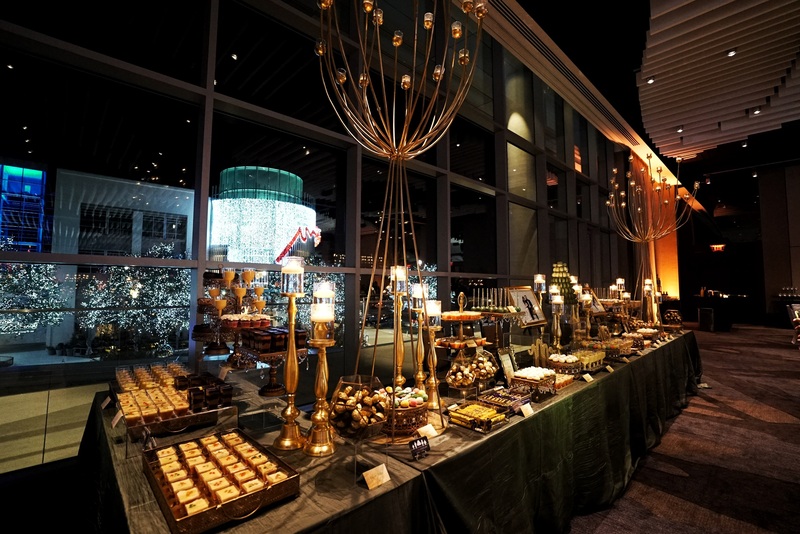 The most amazing dessert tables we have ever seen! They have done both small intimate events as well as large events with 1,000+ people. Aysha and Nazia are the owners of Candee Couture. We know when they are at an event, the dessert table will look perfect and taste amazing! There have been a few other companies who have tried to imitate their idea, but somehow it never looks as good or tastes the same. We use Candee Couture for all of our private events. Guests love how creative their tables are; even those who are watching what they eat stop by and try something sweet. Their tables always look elegant and unique which is perfect for a luxury wedding. Fill out the form on this page and we will send you the contact information for everyone on this list. Also if you are still looking for a venue check out our blog on the Top 22 Indian Wedding Venues in DFW. Shannon is the owner of Happy Trails. She has done more baraats in Dallas than any other vendor. She along with her 4 legged friends are an integral part of baraats. If you need a single horse or a carriage; she has it all. The horses are always dressed in traditional Indian costume along with Shannon and her team. We know there will be great pictures and videos of the groom when she is there. We also work together with her to make sure the baraat is fun and safe. Its important when working with animals to keep people on task. 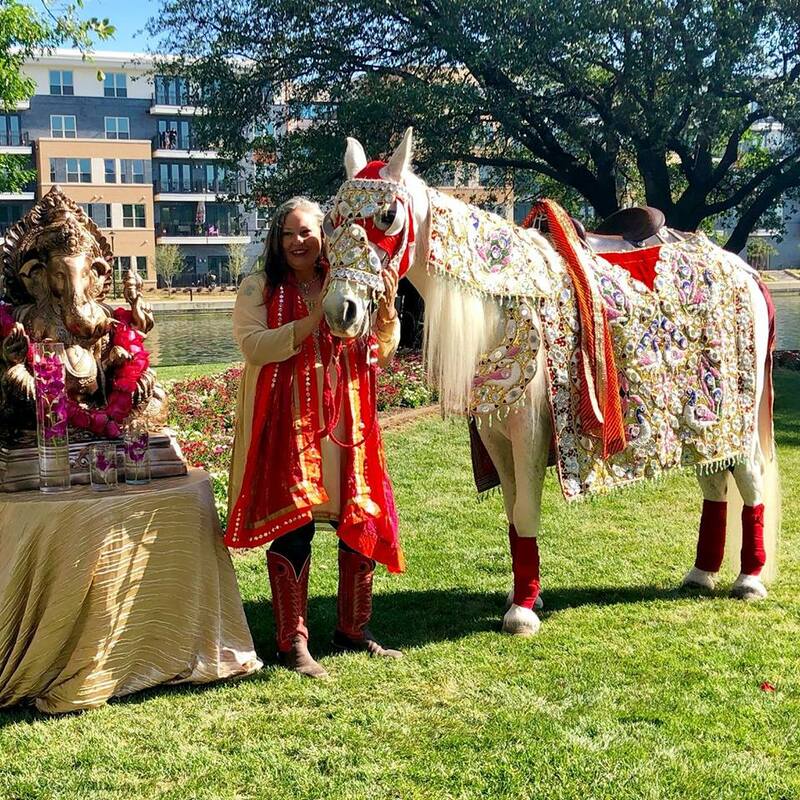 After doing 100 weddings together, we are her favorite DJ team to work with and she is the only one we recommend for Baraat Horses in Dallas. 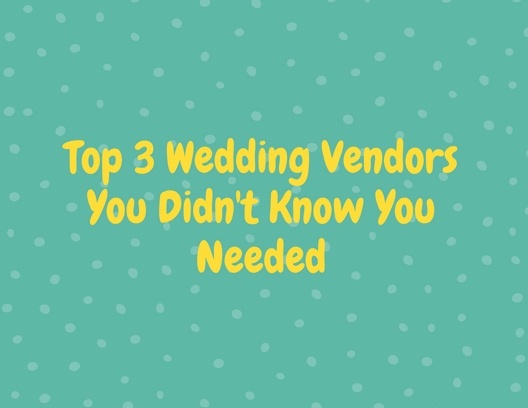 That's why Happy Trails is on the Top 3 Indian Wedding Vendors in Dallas You Didn't Know You Needed. Blue Flame Performing Arts can help you with your Indian wedding and many ways. They provide dancers that can do a performance at your sangeet, baraat or reception. They can teach your family and friends choreography so they look their best at your wedding. They can help the bride and groom come up with the perfect steps for their first dance. Almost every time someone has hired a company to perform at their wedding, we know its going to be Blue Flame. What makes them be a part of the Top 3 Indian Wedding Vendors in Dallas You Didn't Know You Needed list? Their performances are always energetic, costumes always match, and the music always sounds good on our professional speakers. Contact the owner, Christina today for your wedding. Fill out the form on this page and we will send you the contact information for everyone on this list. Also if you are still looking for a photographer check out our blog on the Top 9 Photographers in Dallas. A wedding is the happiest moment in your life and you should choose an Indian Wedding vendors in Dallas that you love. 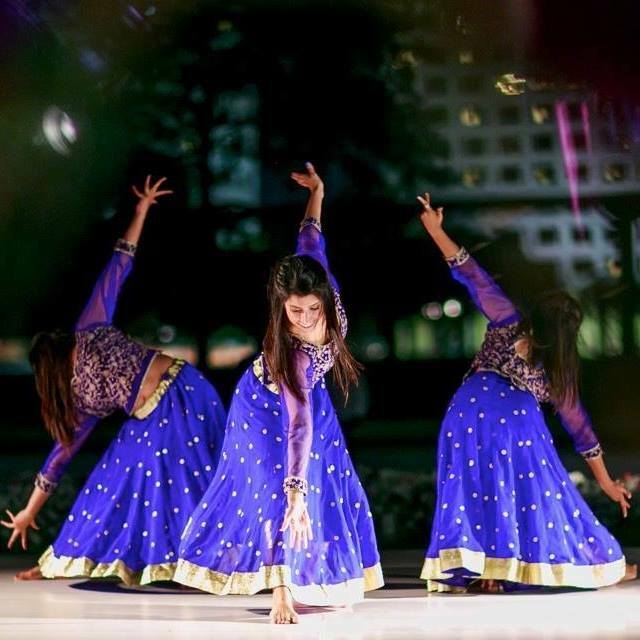 Over our 24 years of bringing joy to thousands of couples, the DJ Riz Entertainment team has performed many times with everyone on the Top 3 Indian Wedding Vendors in Dallas You Didn't Know You Needed list. Given these points, if you would like to talk about which vendors you should select or want to talk to us about music and lighting for your wedding contact us here.